4k00:41Aerial footage low over aspen tree canopy in the fall. 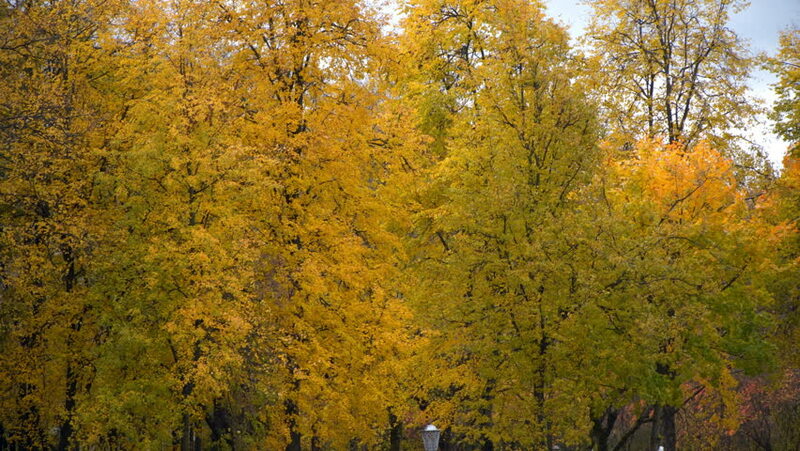 The wind slowly rustles the leaves which fill the screen with yellow and gold. 4k00:23camera climbs the birch trunk to the ground. Autumn season.